Although I am not vegan, I drink almond milk. I have never liked the taste of cow’s milk and in fact, have always found it very strange that adults and children, weened from their Mother’s breast (or bottle), continue to drink another mammal’s milk. Why? Because the Doctor’s make us think it’s the only route for calcium. Bull-oney. Many vegetables have calcium. Don’t get me wrong though, I do use Shatto (locally farmed) whole milk in some of my baking, and I consume other dairy products as well. Anyway, because I try as much as I can to avoid preservatives and other additives store bought brands may have, I decided to make my own almond milk. 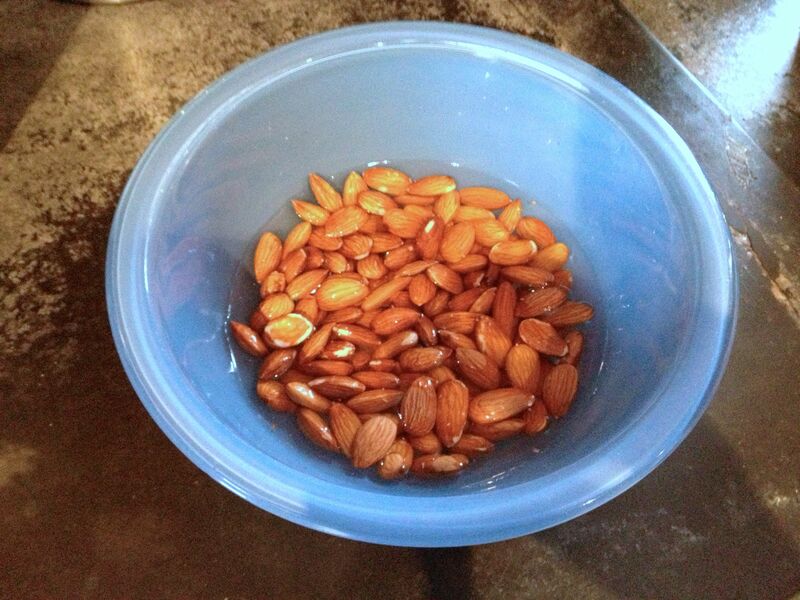 In the long run, it’s also a money saver- that is, once you endure the cost of buying the raw almonds themselves. But a little goes a long way. I found my almond milk recipe amidst the pages of one of my favorite cookbooks “the gluten-free & dairy-free kitchen” on page 173. Because many people have requested this recipe from me, I decided to share it here. Tried & True. Total prep time for this recipes between 6 and 12 hours, depending on how long the almonds are soaked. Then the total preparation time is 15 minutes. 2. In a blender, combine almonds, water (I recently cut my water down to 3 1/2 cups), and optional ingredients (if so desired). 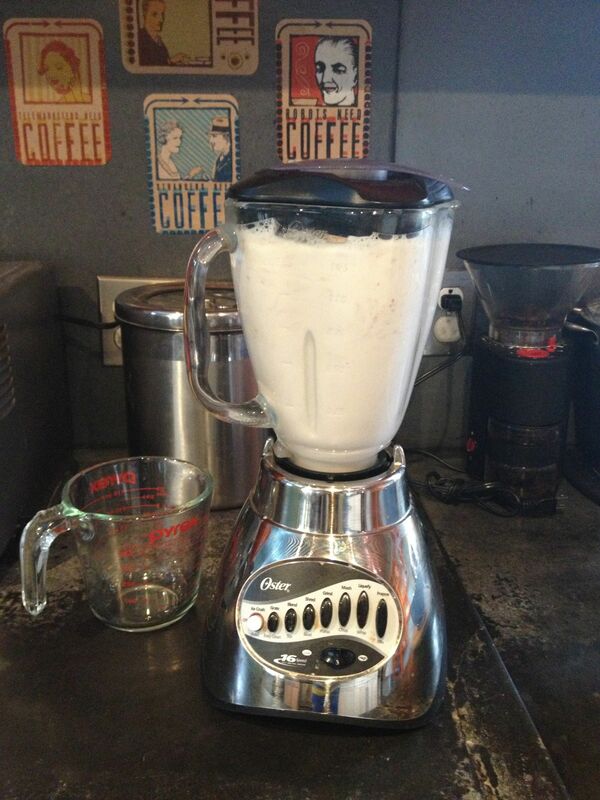 Cover the blender and whirl the mixture at top speed until creamy, about 1 minute. 3. 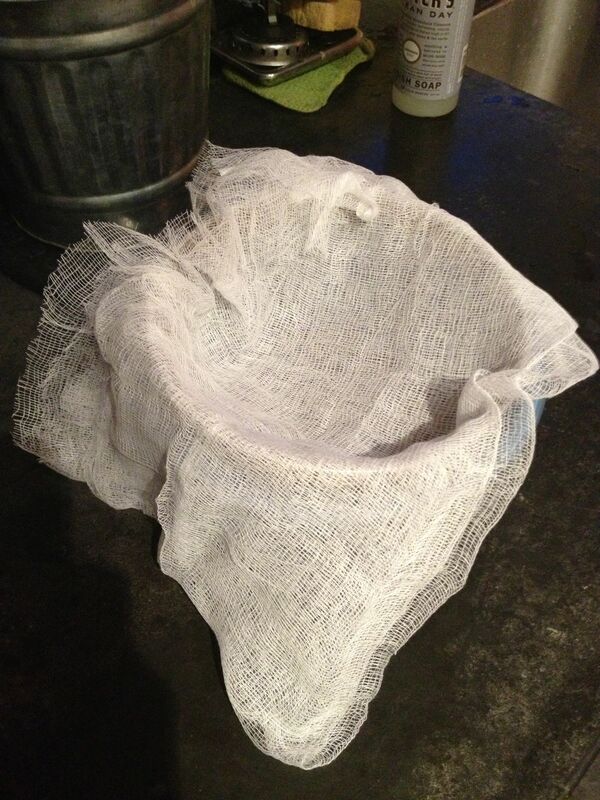 Line a fine- mesh sieve with a double layer of cheesecloth, then place sieve over/ into a larger bowl. 4. 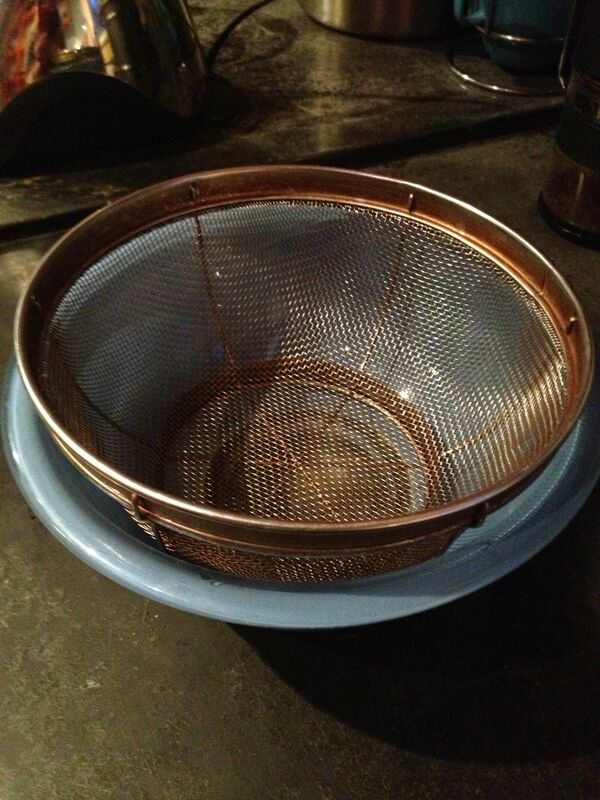 Pour the almond mixture into the strainer (I only pour and work with half of the mixture at a time) and allow it to fully drain. 5. According to the recipe, it says about 5 minutes, but I gage it, then gather up the corners of the cheesecloth and squeeze the mixture to extract any remaining liquid. 6. 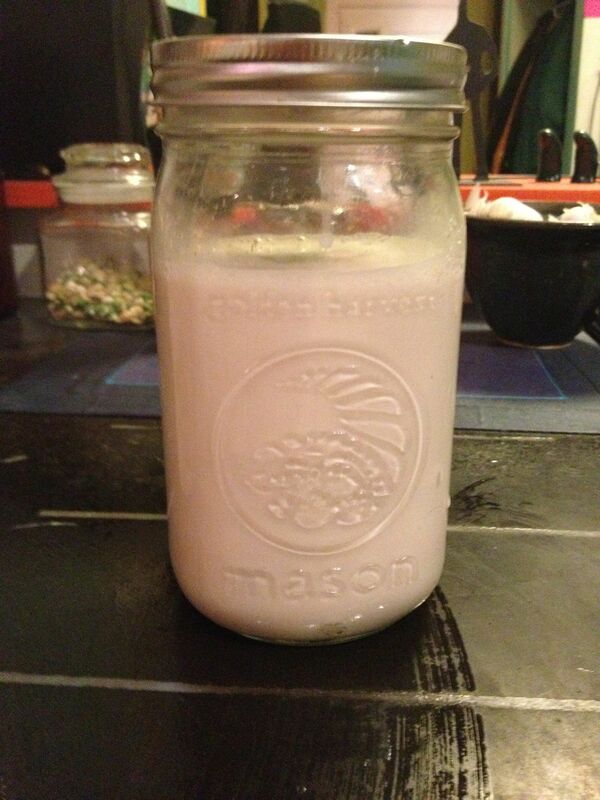 Transfer the milk to a glass container ( I use a canning jar) with a tight fitting lid, and refrigerate for up to 3 days. 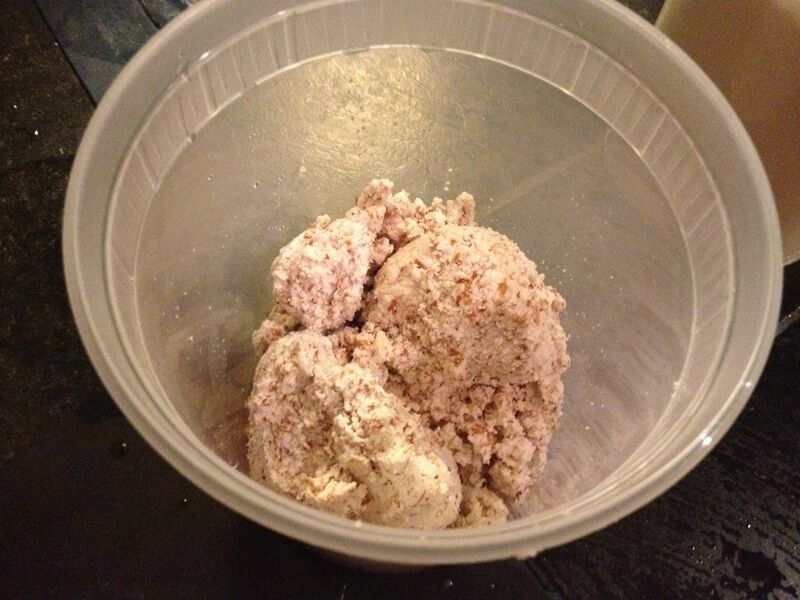 Note: the almond milk will fast pungenty after about 3 days. 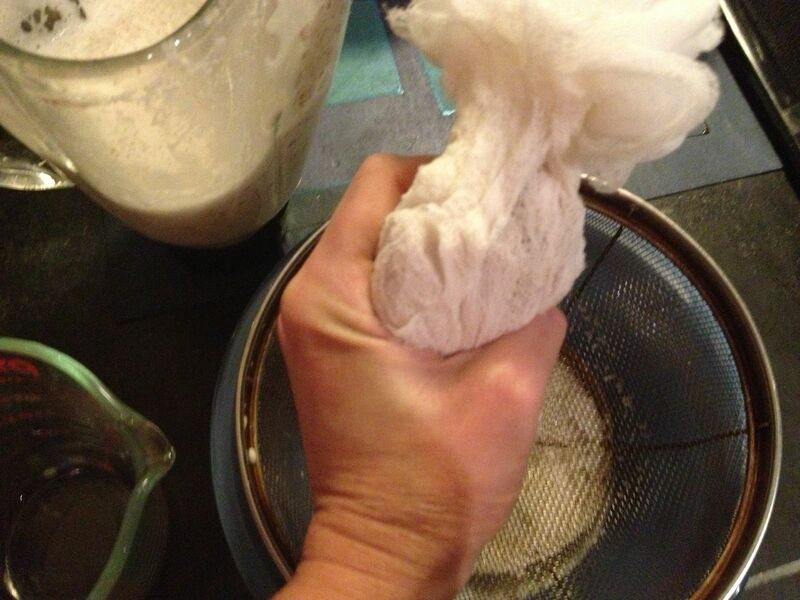 * You can make thicker almond milk by adding less water. 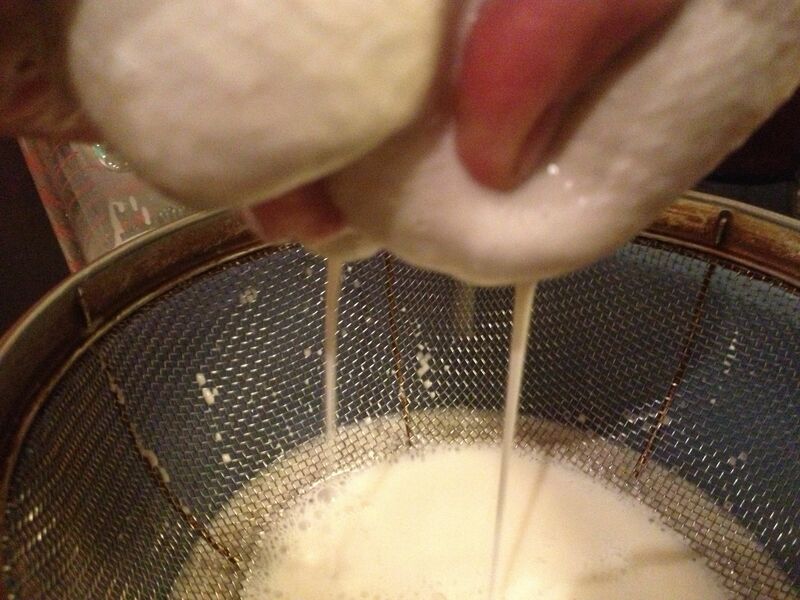 Keep in mind that this will produce less milk and it will be harder to strain. If you make this recipe, I would love to hear your feedback, along with any twists or turns you took to alter, refine, and personalize. 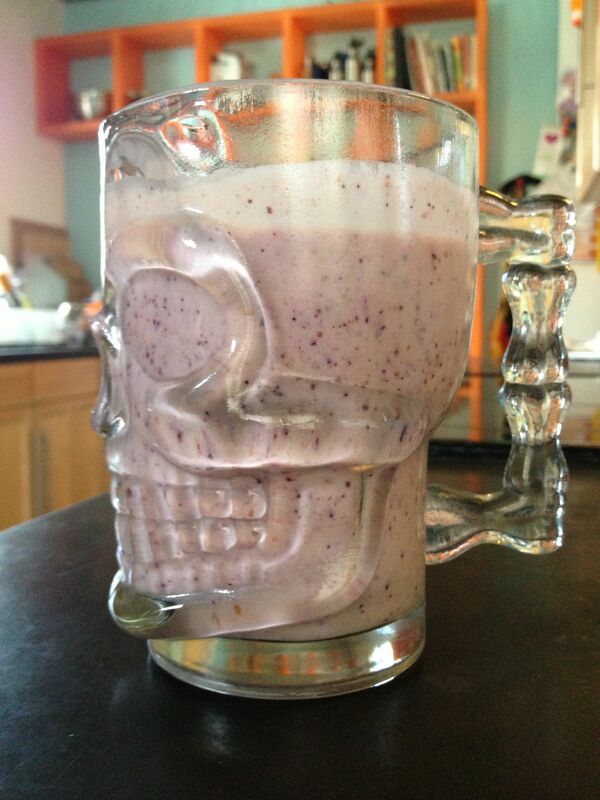 Oh and voila!, here is the smoothie I made this morning with my home made almond milk, mixed frozen berries, a banana, 1 TBS flax meal, and Brown Cow brand Maple Yogurt. 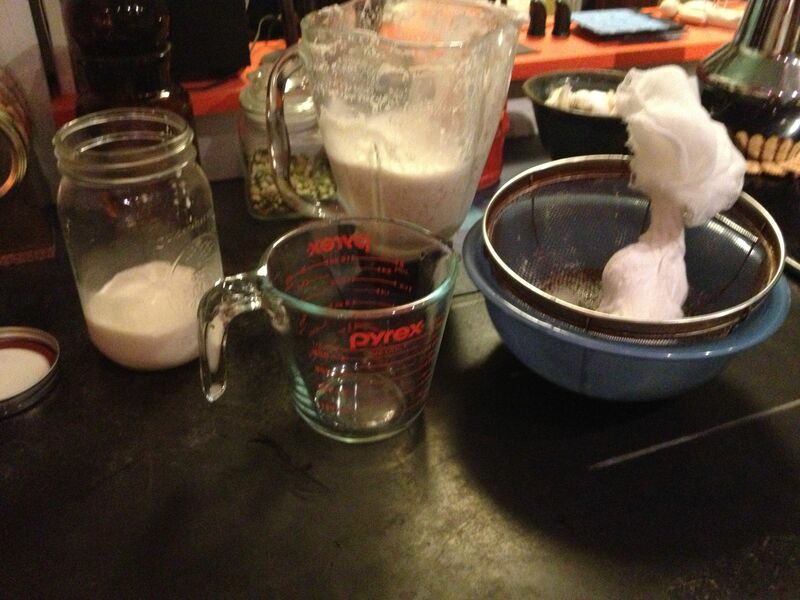 This entry was posted in almond milk, beverage and tagged sustainable food, vegan, vegetarian. Bookmark the permalink. twisted and tweaked recipes, honest food commentary, eureka natural remedies, dinner party confessions……..